Viva Bahrain, a leading telecommunications company in the Kingdom, recently showcased live the new BlackBerry Z10 with its latest next generation BlackBerry platform which has been re-designed, re-engineered and re-invented. At the session, Viva introduced its new range of convenient and flexible business unlimited smartphone plans that offer corporate consumers great value on data and free minutes, a statement from the company said. Corporate users can subscribe to Viva’s business unlimited smart plans and get their Blackberry Z10 device for no upfront payment with a 12, 18 or 24 months contract and pair them with the voice and data packages they find most convenient, the statement said. With Viva’s business unlimited smart plans, business users can get the BlackBerry Z10 device and enjoy unlimited and daily Viva to Viva calls throughout the day, for up to 300 minutes as well as data bundles starting at 2GB up to unlimited. 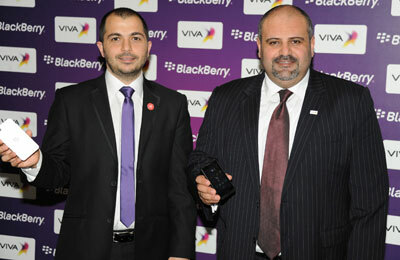 For individual users, Viva has introduced flexible plans including Smart 30 that offers the BlackBerry Z10 device for free with 400 free bundled minutes, BD5 free credit bundle as well as unlimited data and a special number. Customers can also subscribe to the Smart 25 plan which includes 300 minutes, BD3 free credit bundle and 5GB free data allowance every month and pay BD39 for the BlackBerry Z10 device.